Now that NASA’s InSight probe has successfully landed, you might wonder what’s next for it. Well, humanity’s latest probe to the Martian surface isn’t just interested in rocks and molecules. The InSight lander is interested in the Red Planet as a whole, including what’s happening deep beneath the surface. The probe, which took a six-month journey beginning with a California launch, has delivered three new instruments to the surface of Mars. One will measure how heat flows out of the planet. Another will use the planet’s poles to study its core, and one will hunt for “Marsquakes.” It’s a look at Mars scientists have never had before. Mars and Earth are both rocky planets that seem to have had water in their history, but have evolved to become vastly different. InSight hopes to study how rocky planets form and evolve. It also seeks to understand how much tectonic activity Mars has—how actively things are moving on and below it surface. 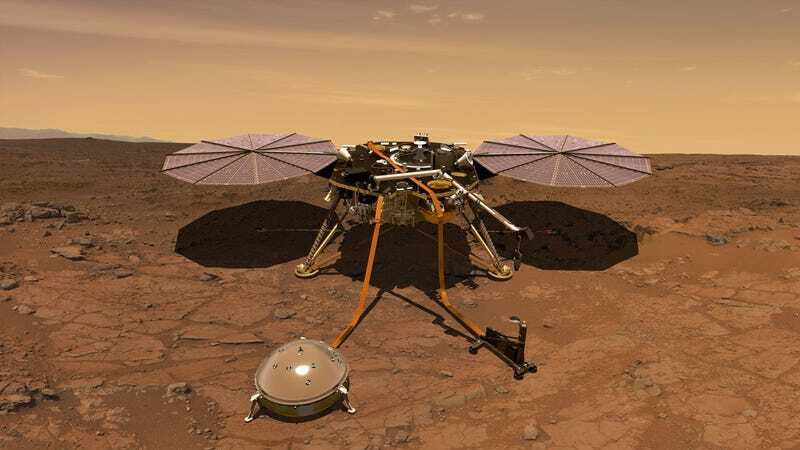 When InSight arrives, its scientists will spend two to three months analyzing its landing area to determine where to place two of these three instruments, SEIS or the Seismic Experiment for Interior Structure and HP3 or the Heat Flow and Physical Properties Probe. A third experiment, the Rotation and Interior Structure Experiment or RISE, sits on the lander itself and will monitor the position of Mars’ North Pole to determine how much the planet is wobbling. This can provide information on the planet’s core, including whether or not it’s liquid and whether it contains elements other than iron. Scientists at NASA’s Jet Propulsion Laboratory have a testbed that looks like a pile of gravel in a lab, complete with boulders and a full engineering model of InSight that they can recreate the landing site with. They will use this to practice placing SEIS and HP3. SEIS must sit on the planet’s surface beneath a wind and thermal shield to ensure its seismic measurements come only from the planet. HP3 will bury itself nearly 16 feet into the Martian crust to study heat leaving the planet. A robotic arm will deploy both. Seismic activity could come from various sources, Kirsten Siebach, assistant professor in Rice University’s Department of Earth, Environmental, and Planetary Sciences told Gizmodo. Potential sources include meteor impacts, landslides, or motion beneath the surface. Observing the speed of the sound waves could help determine the composition inside the planet. Meanwhile, heat traveling from the interior of the planet could help inform scientists as to its composition. It might also determine whether there’s some subsurface liquid freezing and melting, said Harrison. 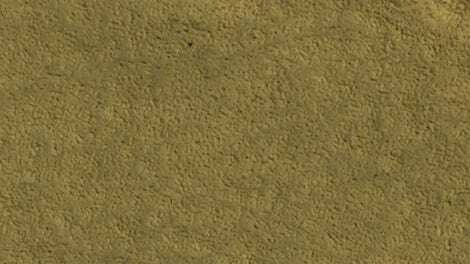 Of course, the amount of data that a lander can gather is limited, as it’s only sitting on one spot on Mars, and it will take some waiting before the mission reveals interesting information. Researchers may have to wait for an impact to generate sound waves to travel through the planet, for example. Ultimately, these measurements won’t just inform scientists about Mars, but about rocky planets in general. Why, for instance, is Earth tectonically active but Mars isn’t? What about either planet’s composition allowed life to flourish and water to exist on one, but caused the water to disappear from the other?